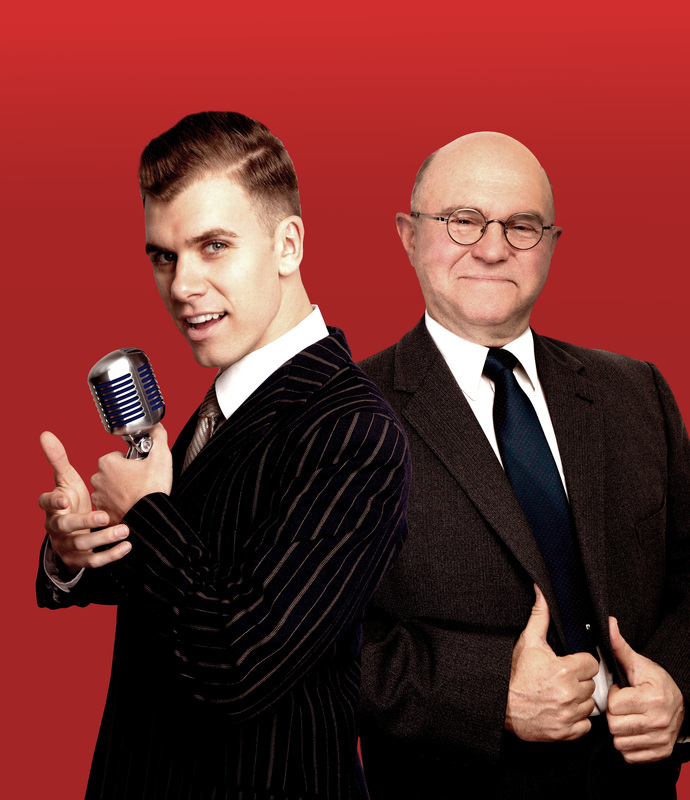 The new cabaret show Mario, conceived and performed by Phil Scott and Blake Bowden, takes a fairly straightforward biographical approach to the life of Mario Lanza, lacing the narrative with much of the music he was famous for singing. With his glorious romantic tenor voice, the Brooklyn-born American-Italian was a 1950s superstar. He could have sung at the Met but chose to stay at MGM, where he had become a silver screen heartthrob, in order to play his hero in The Great Carouso. Lanza’s career blazed brightly – but fizzled out just as quickly. He over-indulged in food and drink, and threw his weight around on set, getting himself sacked from MGM’s The Student Prince. He died aged 38, probably from a pulmonary embolism – though there were rumours the mafia had bumped him off. Written by Scott and directed by Chris Parker, the show takes a linear, chronological approach. Given the 70-minute time constraint, it fairly hurtles through Lanza’s life: his discovery, rocketing career, marriage, the war and his demise. Some things like his many affairs are dealt with in a phrase or two, while cheeky jump cuts help pack it all in. A brief war scene is followed by the comment, “Well, now that the war’s over” (or words to that effect). And on we go. Scott’s script is well-written but is a fairly superficial skimming over Lanza’s life with just enough information to link the musical numbers. Although Bowden doesn’t have quite the same dark, passionate, Italianate sound as Lanza, he does have a lovely tenor voice and sings the material beautifully, moving effortlessly between numbers including Granada, Your tiny hand is frozen from La Boheme, Nessun Dorma, We’ll Meet Again, The Loveliest Night of the Year, and the drinking song from The Student Prince. Lanza’s growing girth, so frequently referred to, is left to our imagination – (Bowden is a lithe, trim figure) – and a padded jacket or some such costuming might not go astray. Scott accompanies him brilliantly on piano, with his usual panache. He also plays a cavalcade of characters including a singing teacher, Louis B. Mayer, a personal trainer and a mafia hit man, lending the piece an extra theatricality. If you know about Lanza, there’s nothing terribly surprising here in terms of the story or the way it is told. But for many in the opening night audience it was clearly a wonderful nostalgia trip. For those who don’t know about Lanza, it’s an entertaining introduction to a legendary performer who died all too young, that may well send them in search of more information. This entry was posted in Cabaret and tagged Blade Bowden, Chris Parker, Hayes Theatre Co, Mario Lanza, Phil Scott by jolitson. Bookmark the permalink.